Loving care from gentle cleaning is what all our precious bundles of joy deserve. 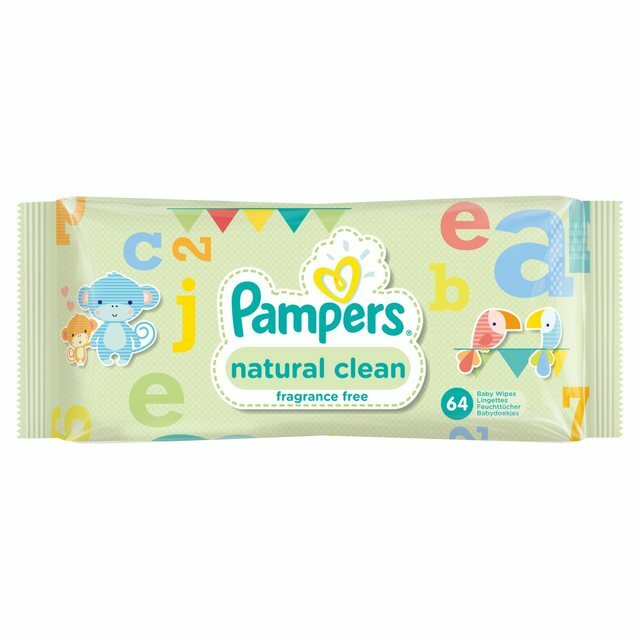 That is why unscented Pampers Natural Clean Baby Wipes provides a balanced wetness to leave the skin feeling cleaner whilst helping to maintain the natural pH level. Pampers unique Soft Grip Texture helps to pick up mess quickly. 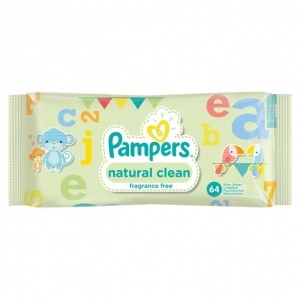 Don’t fear the mess again, with Pampers Natural Clean Baby Wipes. Loving care from gentle cleaning is what all our precious bundles of joy deserve. That is why unscented Pampers Natural Clean Wipes combine their balanced wetness to leave the skin feeling cleaner whilst helping to maintain the natural pH level and Pampers unique Soft Grip Texture to pick up mess quickly. Don’t fear the mess again, with Pampers Natural Clean Wipes.